Your FREE DSLR Astrophotography cheat sheet! 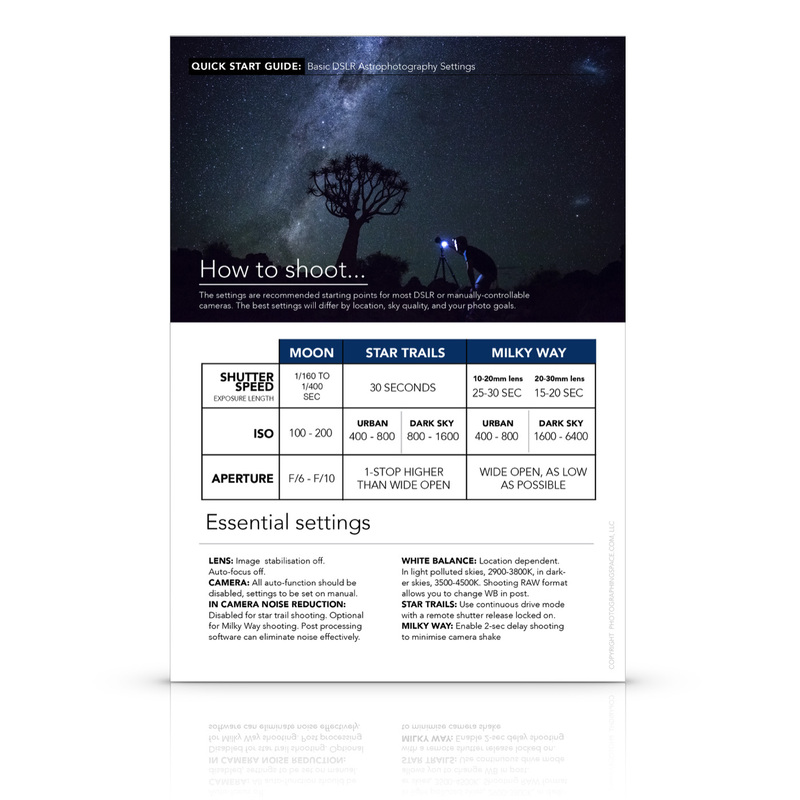 We’ve created an easy to understand 1-page astrophotography cheat sheet with the essential DSLR astrophotography settings you need to know. Photograph the Milky Way, star trails, and the moon. Also, you’ll get weekly, relevant, and helpful astrophotography tips designed by our team to increase your image quality and spur on creative and beautiful night sky and astrophotography!